It’s hard to tell when you look at it from that angle, but quite clear from the other side. It’s just a big old shrub. That’s a pretty big crowd, too. 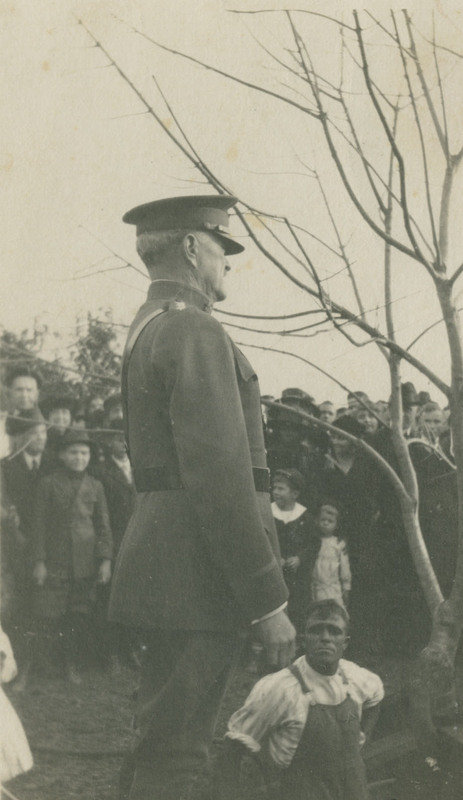 It was the day that General Pershing visited Rice–February 5, 1920. (Just by the way, even without a date on the photo you would know it was 1919-1921 by the men’s hats and high shirt collars. They are an absolute dead give-away.) 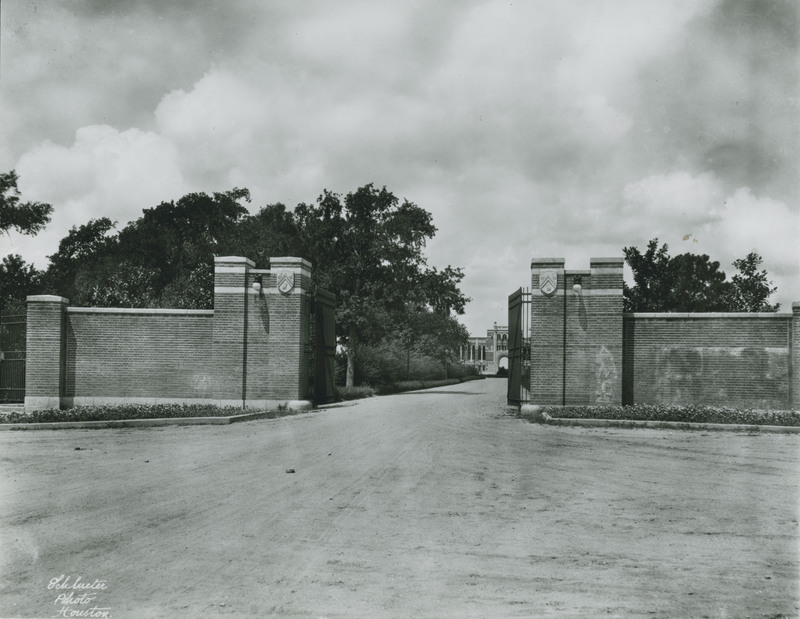 Here he is planting the pecan tree in what is now called Founder’s Court. My favorite thing about the picture, though, is the guy down in the hole, who has done all the actual work. That’s the famous Tony Martino, the gardener who tended the campus for decades. He’s the source of the quote on those “Rice Fight Never Die” t-shirts that I see on students all over campus. I have a couple more interesting pictures that were taken on this day, but I don’t have them on this laptop. I’ll try to remember to post them next week. Bonus picture: I took this one when I had to sit down from queasiness on my way up to the top of the stadium. Ugh. I’ll go back and take a picture looking up from the bottom. It’s really high–I was legitimately messed up. That ‘blob’ was NO shrub; that was my date! You made me laugh, Gene. Congratulations! 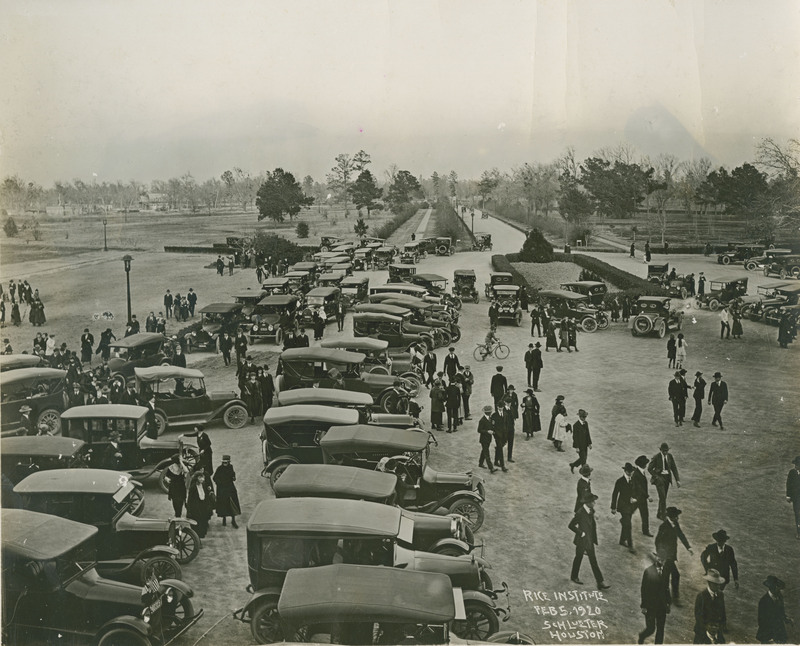 I love the picture with all the old cars. No, I’m not that old, but love cars and the progress that has been made with Henry Ford’s invention. 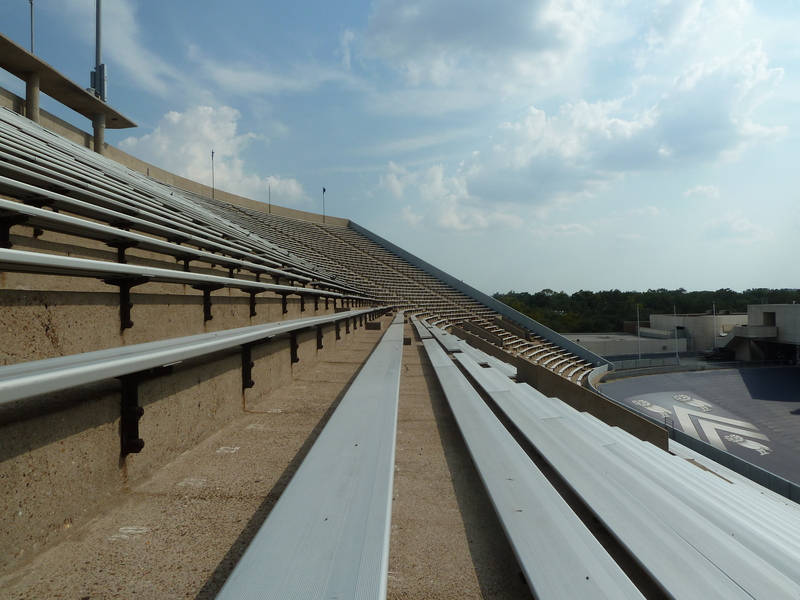 The picture on the seats at Rice Stadium, awesome, you are a very brave person to climb all the way to the top. Can you imagine what is was like to attend a Rice game when all those seats were filled, wow, it must have been really loud. Thanks for what you are doing, I love it. I love those cars too! At first glance they all look the same, but if you look closer–especially at the front ends–you’ll see that there are a lot of variations. And thanks so much for your nice note. I appreciate the encouragement. If it’s discomfort you are after, you should try sitting in the front row of that upper deck for a game played in a driving rainstorm. Water from every direction, including below you. Of course, it was the Bluebonnet Bowl between Tulsa and Tennessee in either 1965 or ’66, not a Rice game. The threat of rain was why students always used to try to get to the game in time to get a seat underneath the overhang of the upper deck. It appears that rain is no longer much of a threat in Houston these days.